Take your favorite Armenian school characters with you wherever you go! 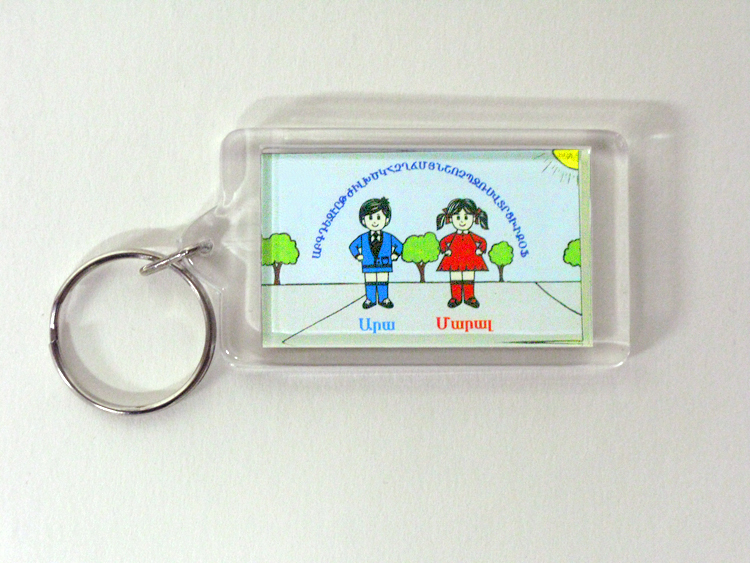 Measuring 1.5 by 1 inch, this key chain features Ara and Maral on one side and the entire Armenian alphabet on the other. It is a perfect gift for Armenian school graduates and lifelong lovers of the Armenian language.